Love Toyota cars and got myself one from 2014. 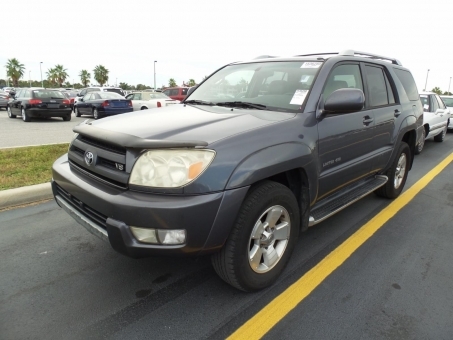 Air Conditioning, Power Locks, Power Seats,Power Steering, Power Windows,4 Wheel Drive, Sun Roof, CD Player. Public Auto Auction is a leading online car auction that will quickly turn your used vehicle for sale into cash or will promptly help you to find your next car to buy. Whether you are selling a car, buying a car or just looking for advice on how to buy or sell a car, start your search with our site that specializes on auction cars. On Public Auto Auction we have a wide range of offers with new or used vehicles, repossessed cars, second-hand autos at auction prices. Compared to other vehicle auctions, government auctions, classic car auctions or property auctions, we provide you with the most convenient and working solutions and we pride ourselves on the personalized service and no fuss attitude any customer of our public auction may benefit from. Dealing with us is always enjoying and satisfactory. Trade cars with us and value our dynamically working online car auction offering the most flexible and profitable commercial solutions for you to make the best car deal. We are your trusted automotive auction by inspiring and empowering you to make the right auto decisions. Find the best new or used vehicles up for bid and save time and money by choosing to deal with Public Auto Auction. Research local car offers, compare prices and choose an auction to find the best car suited for you and your lifestyle.